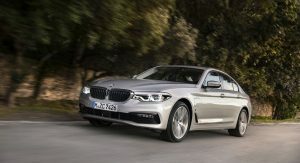 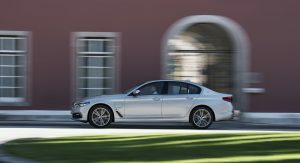 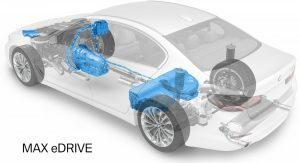 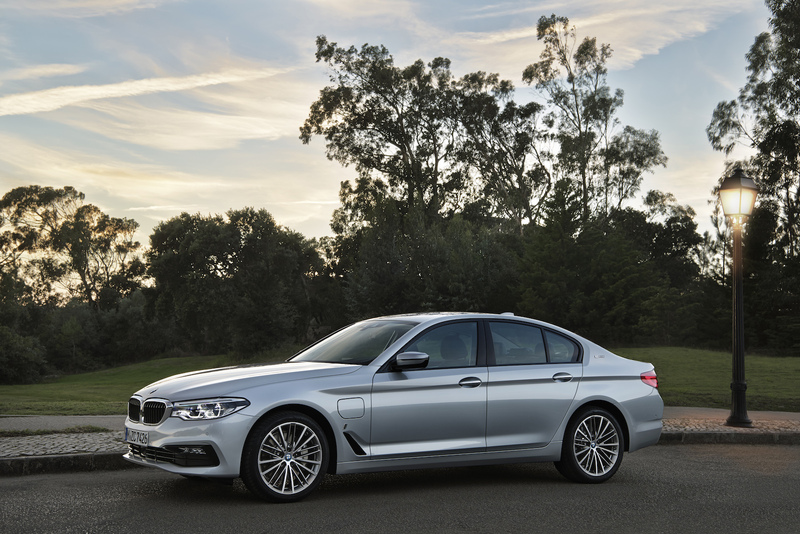 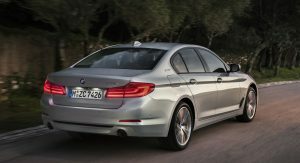 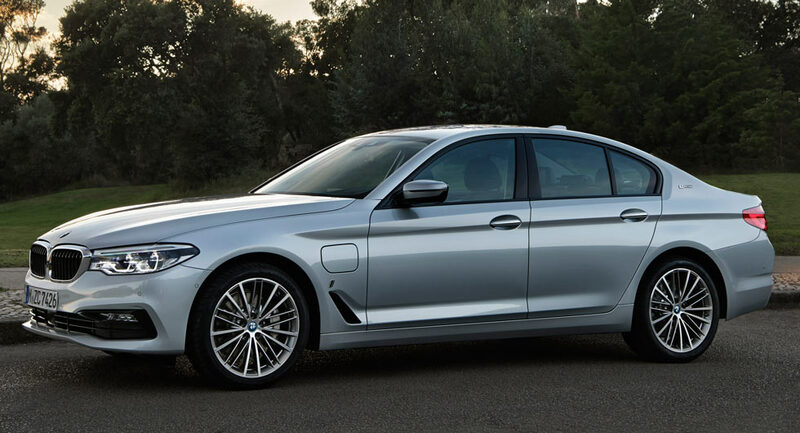 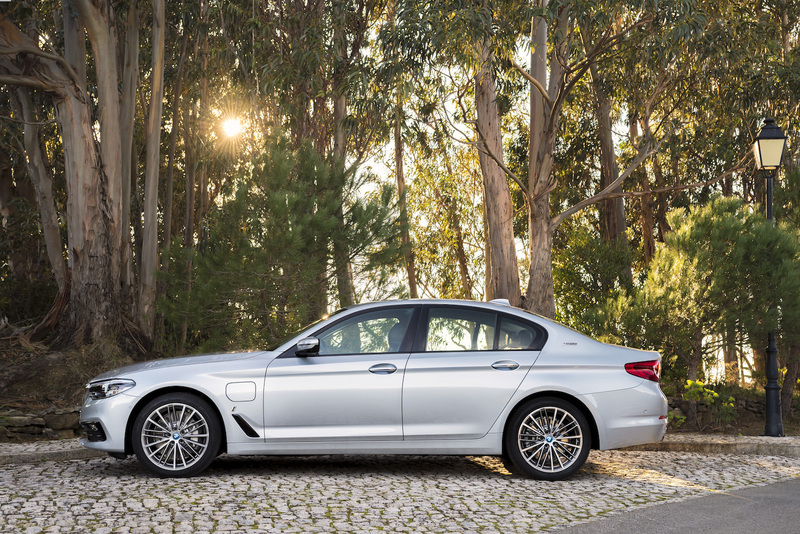 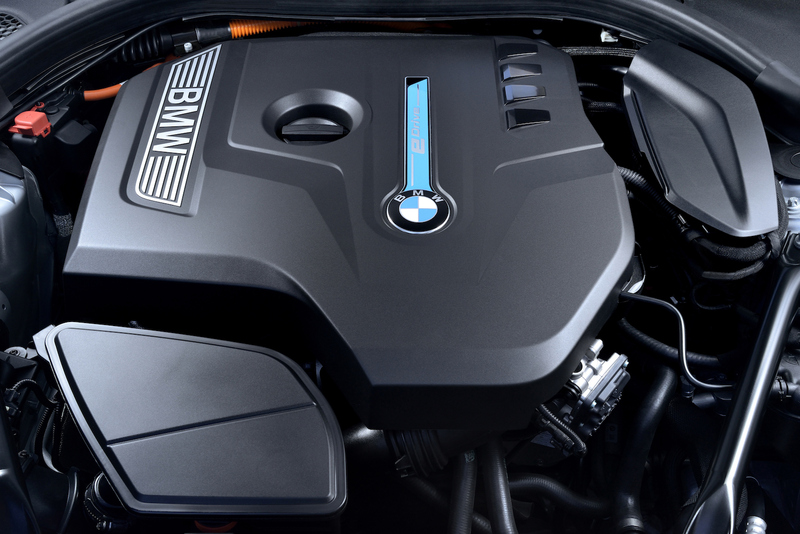 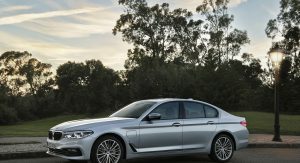 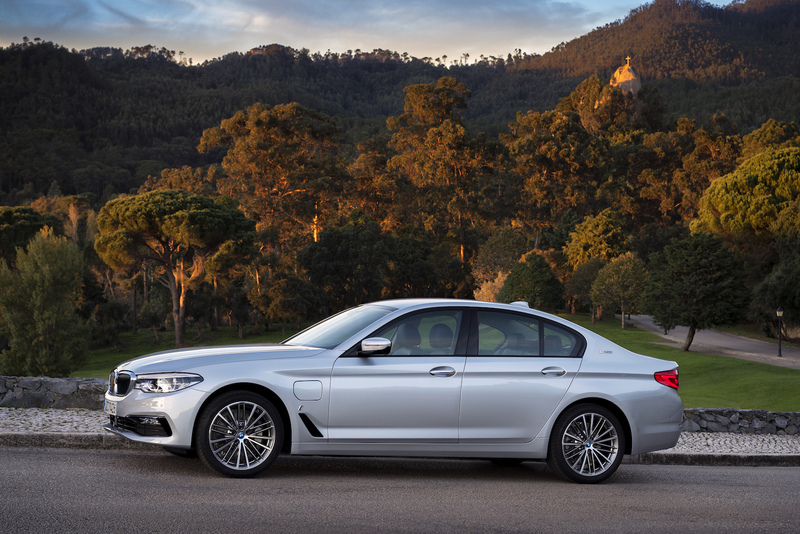 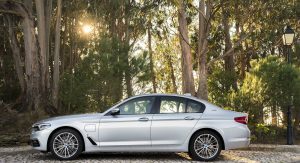 The 2018 BMW 530e iPerformance plug-in hybrid is the company’s latest attempt to spread the electrification message around to some of its most popular models. 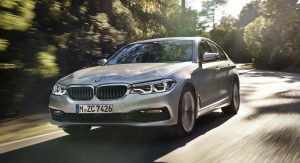 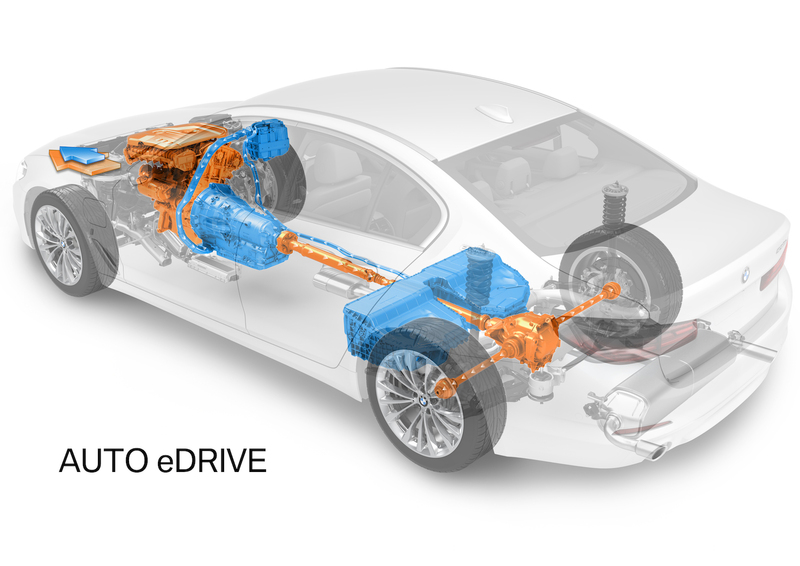 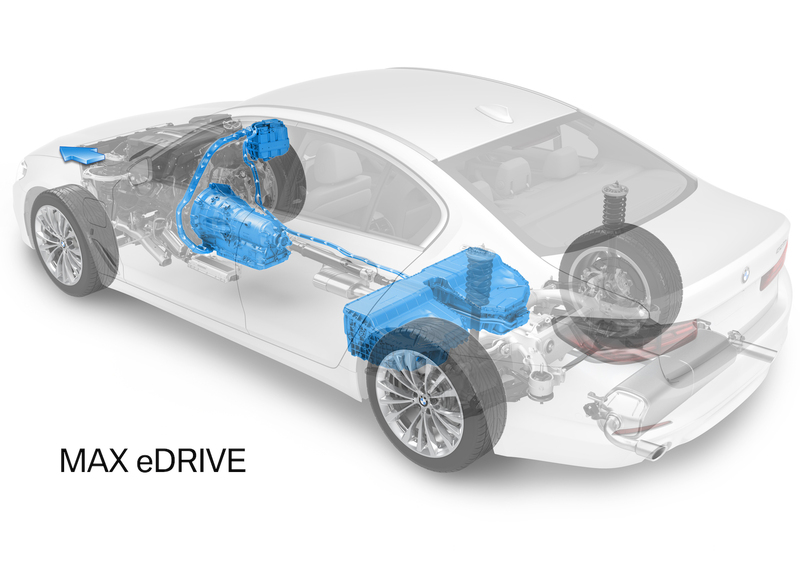 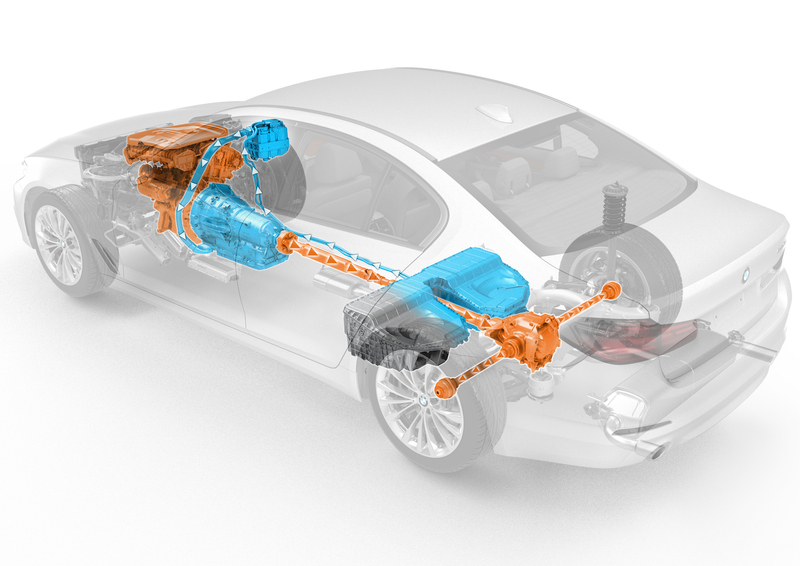 BMW has released more details for the 2018 530e iPerformance plug-in hybrid, the link that adds electrification now to its core sedan lineup, following the 330e iPerformance and the 740e iPerformance. 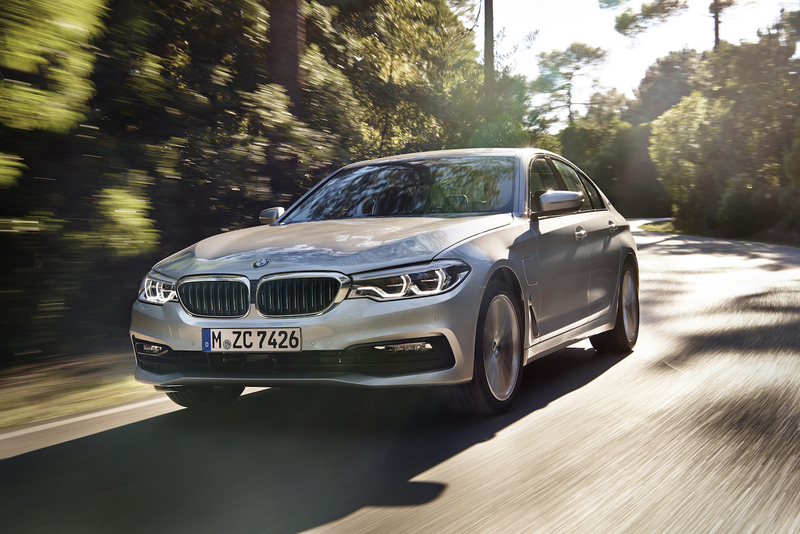 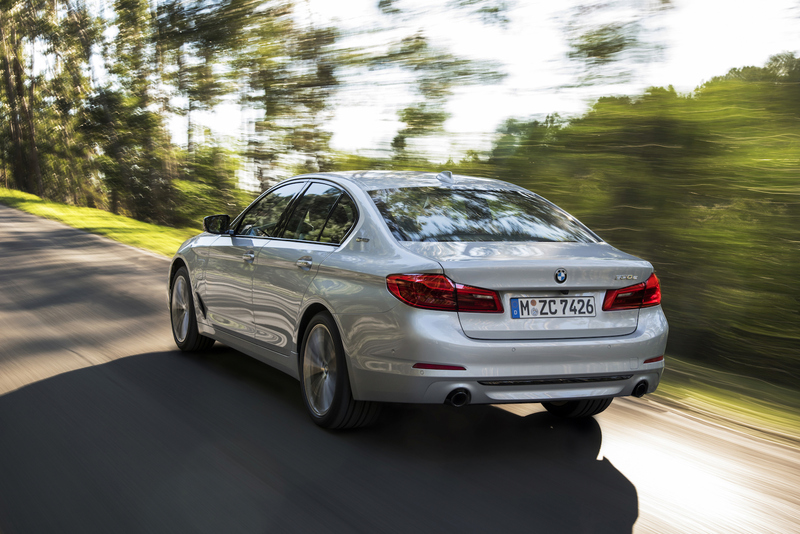 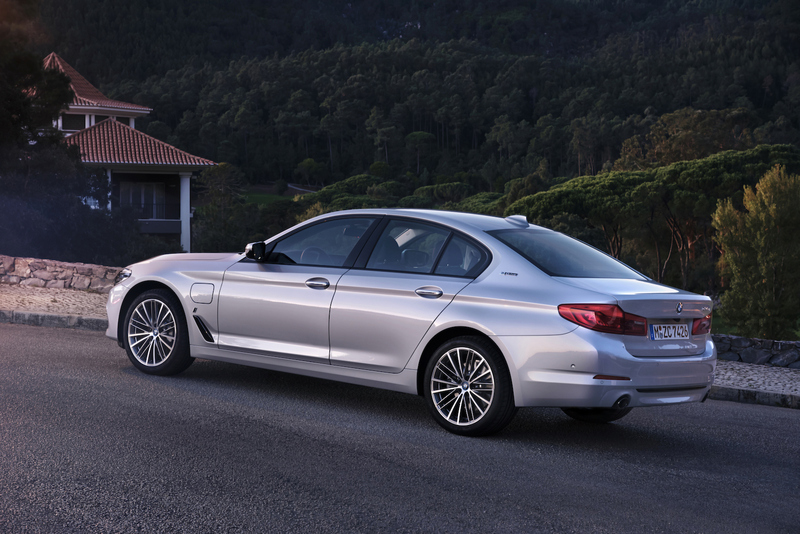 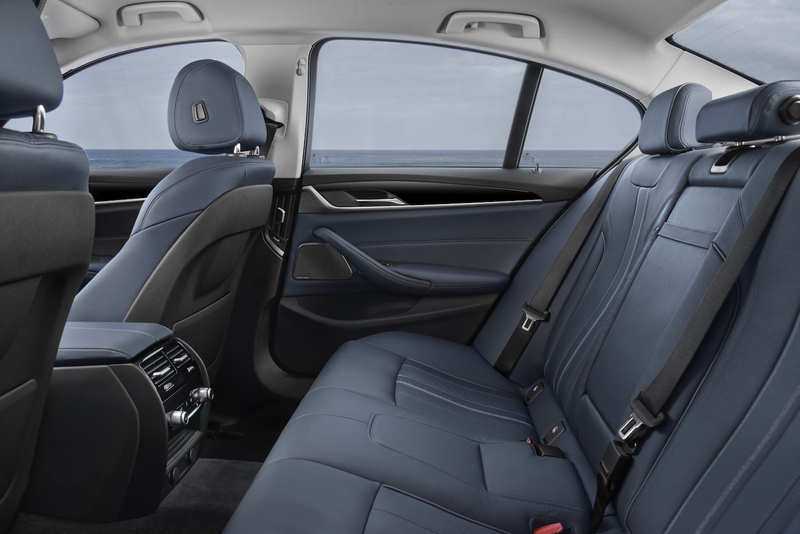 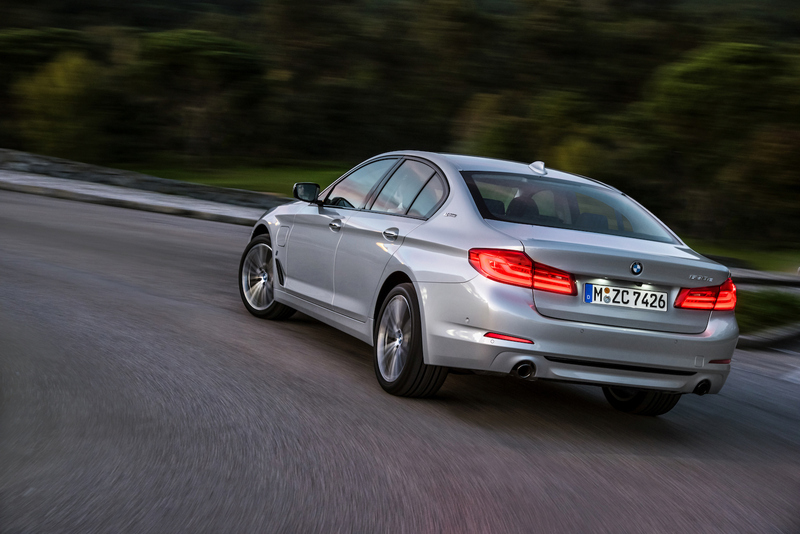 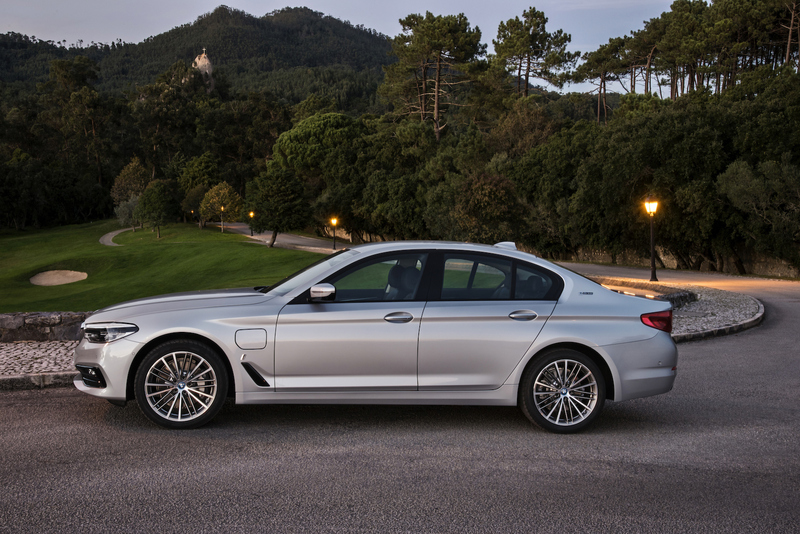 It’s the latest iteration of the G30 generation of 5-series that was announced in October. 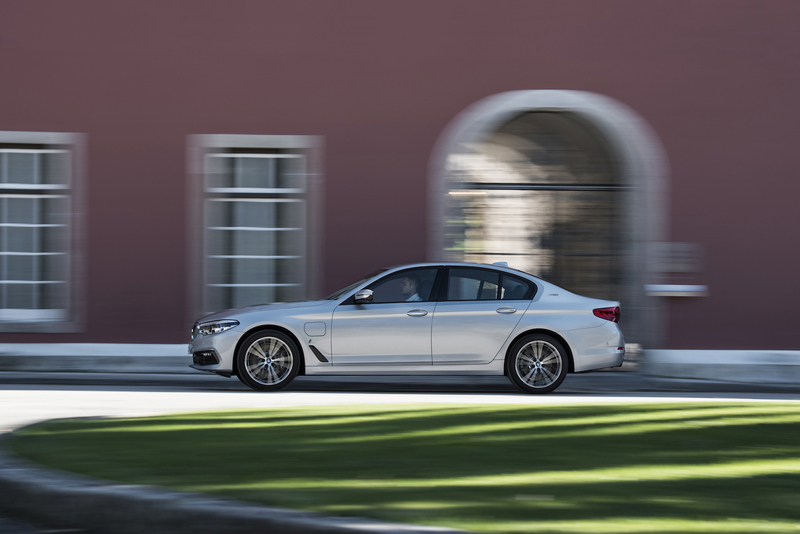 BMW says the 530e is notable because it’s the first time they’re offering an iPerformance plug-in variant with either rear-wheel drive or optional xDrive all-wheel drive. 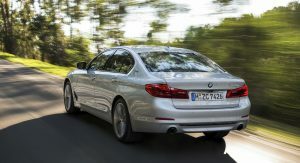 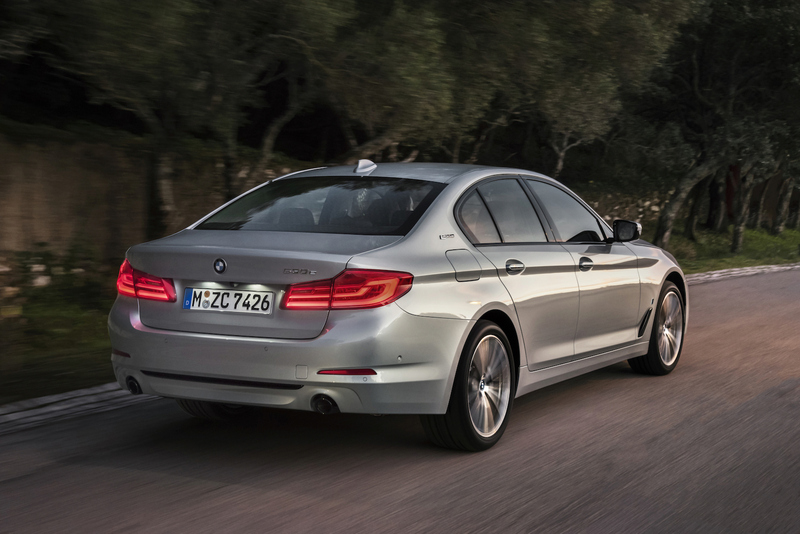 Currently the 330e comes only in rear-drive and the 740e only with xDrive. 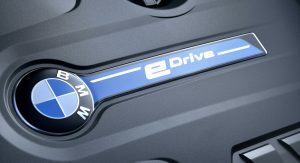 It seems BMW would love to sell more plug-in hybrids in snowier climates. 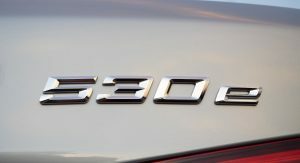 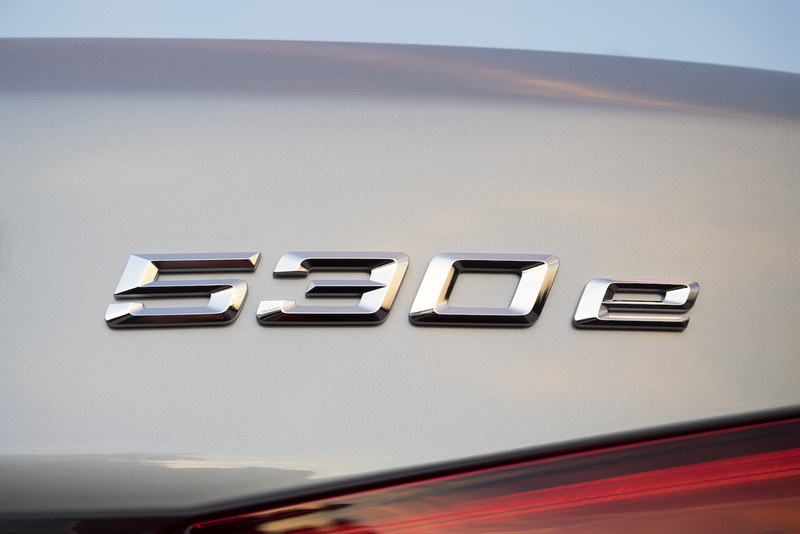 As in the 330e, the 530e gets a 2.0-liter turbo four and electric motor pairing for a total of 248 combined horsepower and 310 lb.-ft. of torque, according to estimated BMW figures. 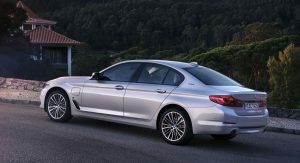 The company says that means the 530e is good for 0-60 mph in 6.1 seconds and a top speed of 130, which certainly will put it behind a gas-only 5-series of the same horsepower league, but it’s far from a slow car. 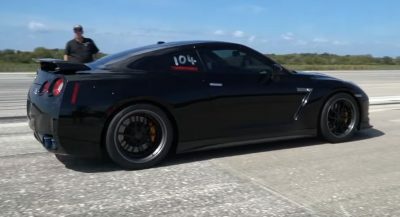 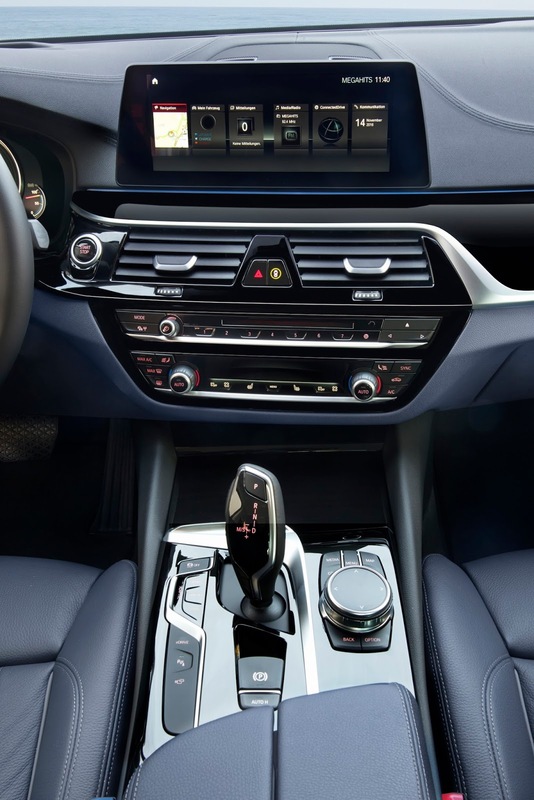 The only transmission is an 8-speed automatic with paddle shifters. 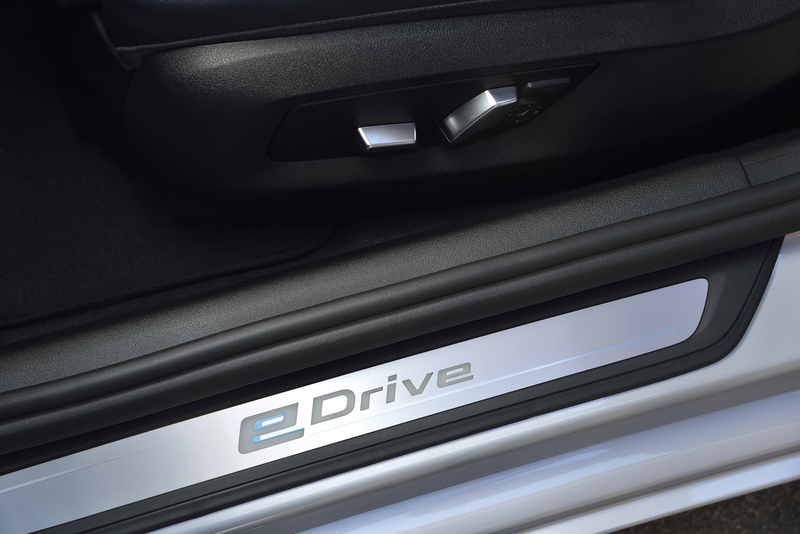 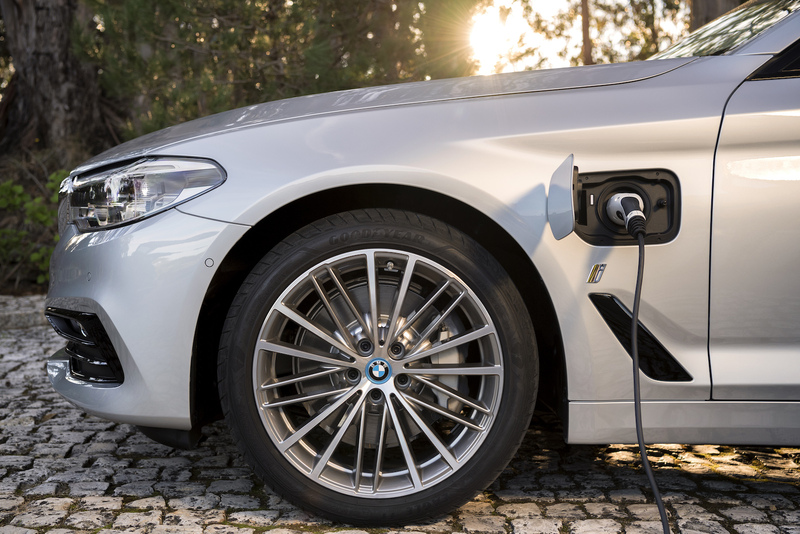 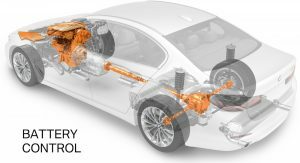 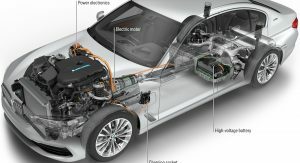 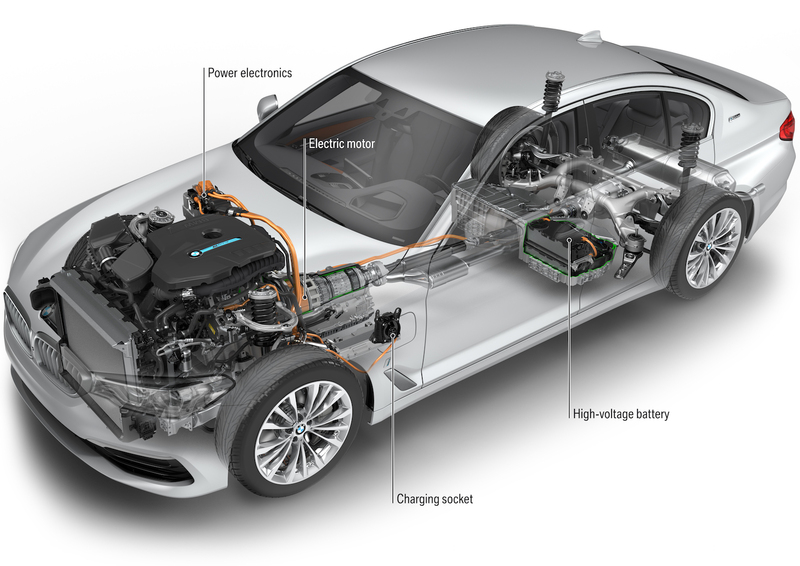 A 9.2 kWh battery pack sits under the floor of the trunk and BMW says the 530e can get charged up in less than 7 hours on a 120-volt outlet, while a Level 2 charger will do it in less than 3 hours. 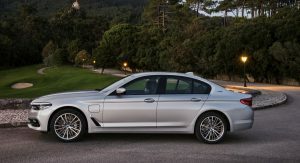 BMW didn’t disclose how far they expect a 530e to go on a charge before shifting to hybrid mode, but count on roughly the same 18-20 miles that I got while driving the 330e very gently. 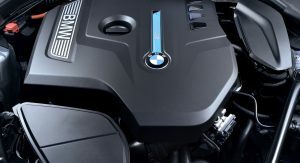 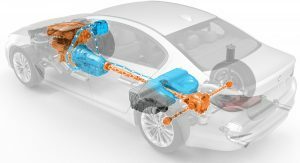 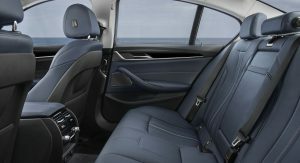 Like the other iPerformance vehicles, a button allows the driver to cycle through modes for either hybrid propulsion, mostly electric power or to conserve electric power for a later time. 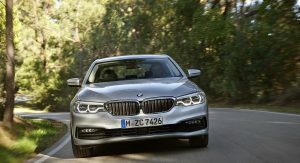 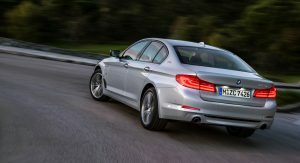 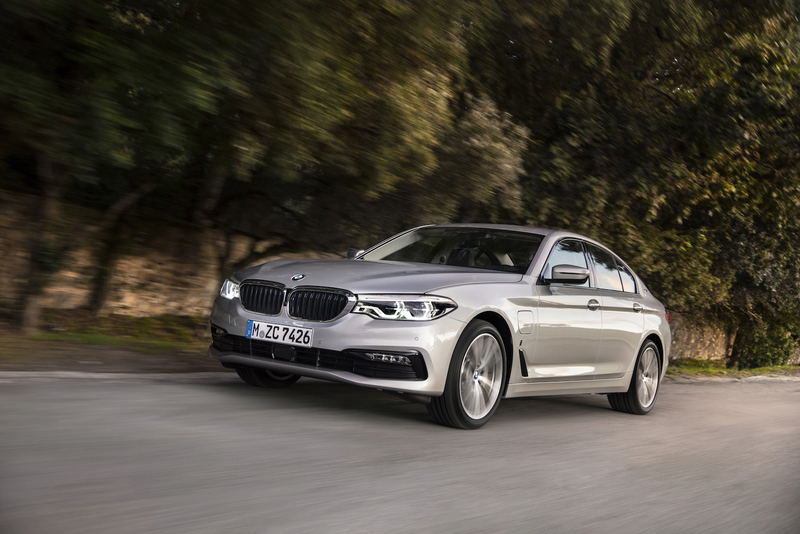 The 530e should go on sale early next year, with the first cars reaching the U.S. in spring with the rest of the new 5-series line. 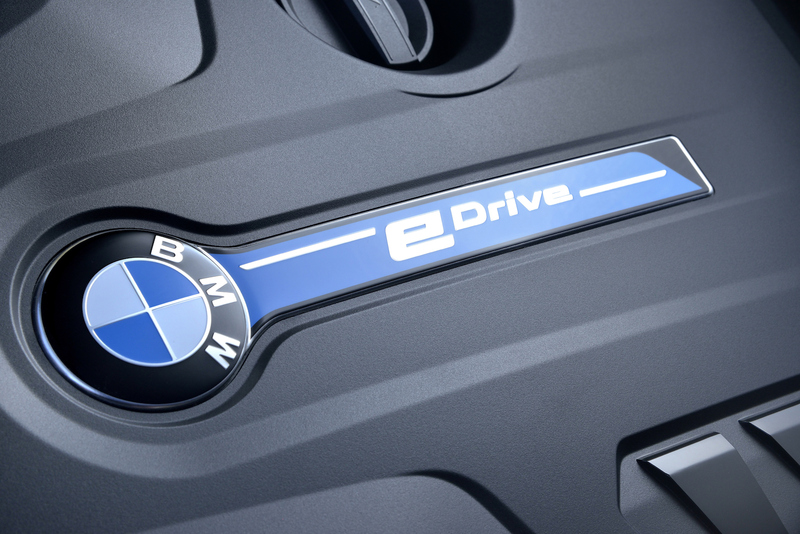 THE HOCKEY STICK GOUGE AND THE BELT-LINE GOUGE ARE REALLY UNATTRACTIVE DESIGN FEATURES. 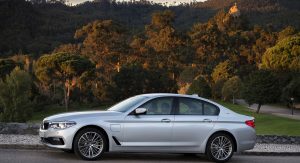 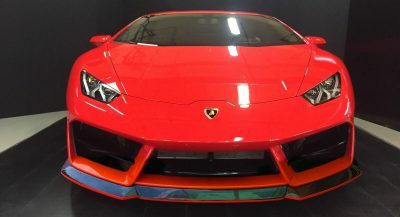 The “hockey stick” is an aerodynamic feature, which permits this car to have the best Cd of its class (and the best yet for a sedan). 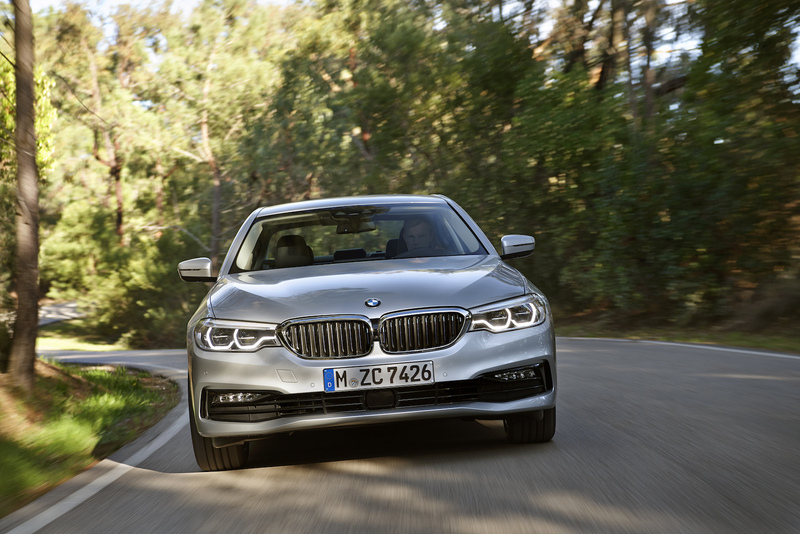 When will BMW make a Tesla competitor? 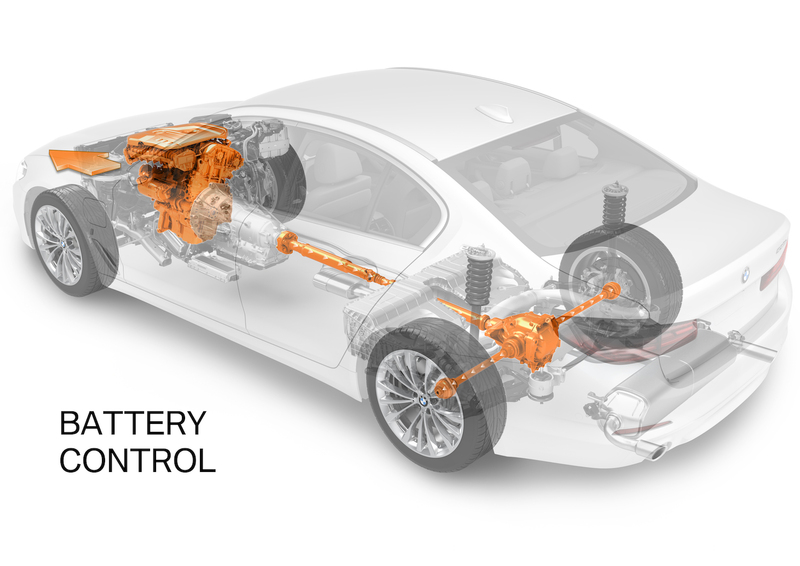 This plug-in hybrid is cool, but how about an high-range electric bmw? 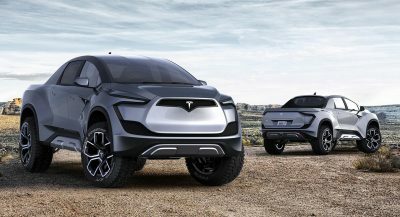 Rumour has it the upcoming 2018 3-series will also be offered as a pure EV just in time to compete with the Tesla Model 3.
why on earth cant reputed brands figure out a way to hide the fuel, power outlet openings within the window, light corners or the grille. 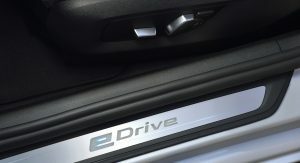 big boxes on the side profile are terrible..
– extremely hard to charge when parallel parked next to a charger. 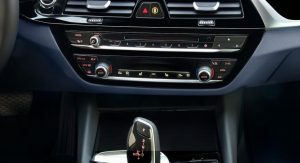 The default cord (in the 330e at least) is so short that it simply might not reach depending on how the charger is located in relation to the car. 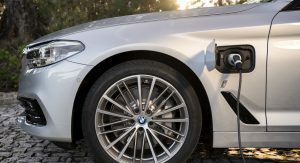 Placing the outlet on the drivers side == bad idea! 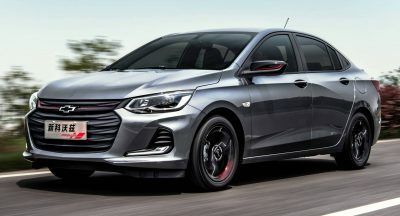 Next PostNext Chinese Government To Slap GM With Anti-Trust Fine?